The Steam Vehicle Corporation of America used Firestone Rrms on its 1924 Model SV 750, but by 1925, its credit with Firestone may not have been sufficient to continue. The Comany's 1925 cars, the Models SV 252, all were fittd with JAXON rims and parts. 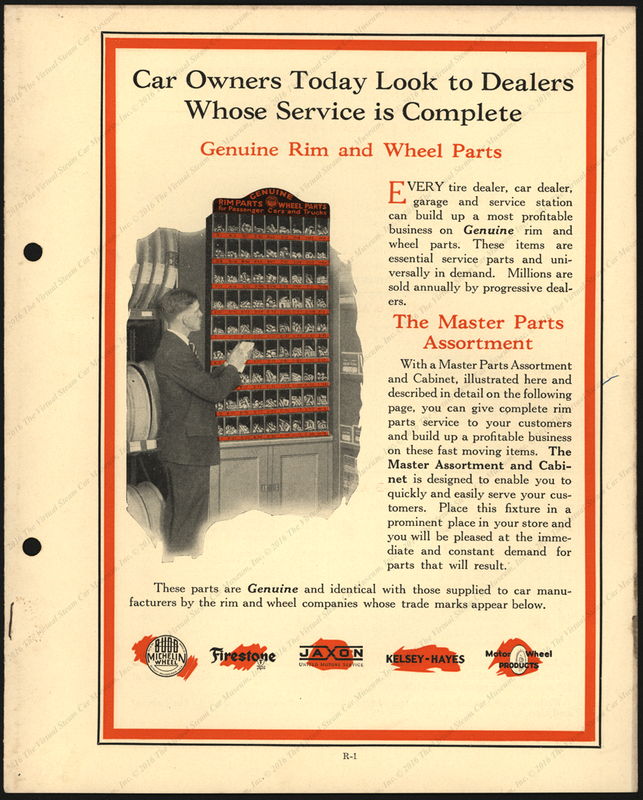 This trade Catalogue offered a wheel and rim assortment for garage owners about 1925. Included in the assortment are Jaxon and Firestone rims and parts, both used on Stanley Steam Cars. Contact us if you have additional information about JAXON Wheels and Rims, The United Motors Service Company, or if you have questions.